Turning out memorable melodies and carefully crafted street anthems at a prolific clip, Lil Durk evolved from a controversial upstart into one of the most respected hitmakers in rap. Recruiting one of the standout emcees from his Only The Family label, Durk connects with Booka600 for the spritely and anthemic “7:30.” A moving tale of rags-to-riches, “7:30” finds the two emcees wailing in auto-tune over a bouncy piano instrumental, channeling their deepest pains into the new album. With over 300k views since its release over the long weekend, “7:30” is one of the standout tracks from Lil Durk Presents: Only The Family Involved Vol. 1, a compilation mixtape featuring Durk and the heavy hitters on his boutique label, released earlier in the Summer. Leveling up from a rap star into a rap mogul, Lil Durk introduced his OTF all-stars on Lil Durk Presents: Only The Family Involved Vol. 1, unleashing a crew of fellow melodists and emotional realists. Featuring several brand new songs by Lil Durk, including the Complex-premiered“Remembrance,” the mixtape finds the Chicago native sharing the limelight with his most talented OTF signees, including eccentric trap melodist Yung Tory, heavy-hitter Booka600, warble-voiced drill emcee OTF Ikey, and the aggressive Doodie Lo. 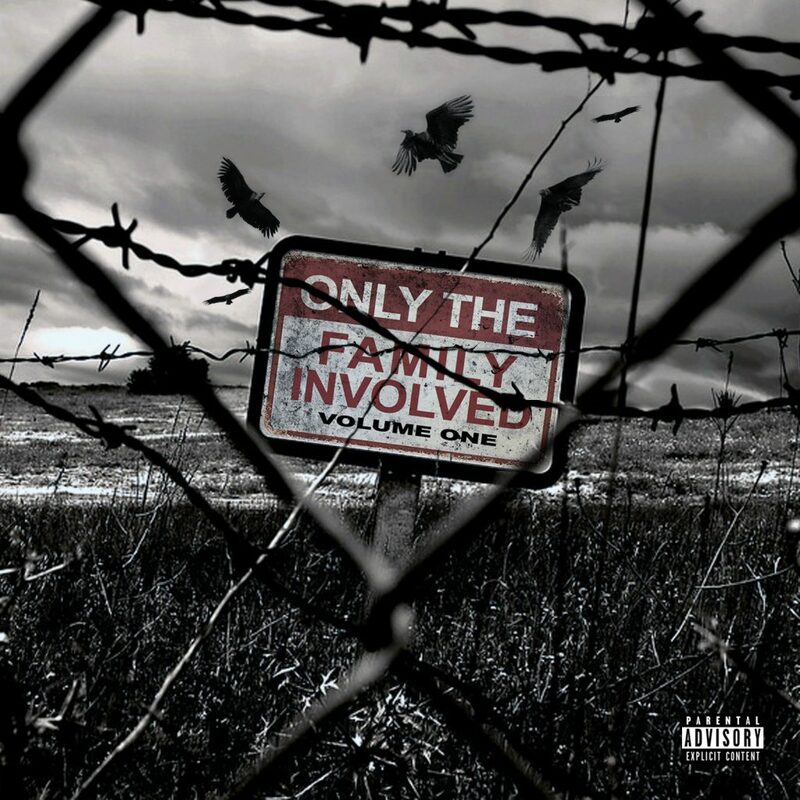 An impressively hooky project that conveys the realities of street life with expert songcraft, Lil Durk Presents: Only The Family Involved Vol. 1 finds the labelmates feeding off each others’ styles, relentlessly stacking infectious melodies into verses, hooks, and ad-libs. Featuring the dramatic and emotional single “Play Yo Role,” Lil Durk Presents Only The Family Involved Vol. 1 is available to stream via EMPIRE. A tireless and prolific emcee, Lil Durk has already had a busy 2018. In March, he released his first project since departing Def Jam, Just Cause Y’all Waited, an important transitional record for Durk. Praised by Pitchfork, who wrote “Lil Durk writes about Chicago the way Joan Didion once captured California,” Just Cause Y’all Waited features tracks such as the buzzing “1-773 Vulture,” a street remix to Logic’s hit single “1-800-273-8255” that reached the 9 million view mark on YouTube, and the Lil Baby-featuring lead single “How I Know,” which earned prominent placement on Spotify’s Most Necessary playlist. Featuring additional appearances from PartyNextDoor, Ty Dolla $ign, Gunna, and TK Kravitz, and with production from 808 Mafia and others, Just Cause Y’all Waited EP is a formidable appetizer for Signed to the Streets 3, due later this year. Lil Durk turned heads when he performed his hits in a prime time slot, and later joined Tee Grizzley onstage at the Rolling Loud Festival in Miami (catch a few clips from this performance and from backstage in the “Remembrance” video). Michael Harris (OTF IKEY) born February 2, 1992 in the heart of the Chicago trenches, he attended Dyett High School as a teen to later on become rapper in the “Drill Music” era. His musical influences range from Marvin Gaye, Tim Tatian, and R. Kelly to more modern hip hop artists like Future & Lil Wayne. OTF IKEY jumpstarted his rap career under Lil Durk’s OTF label, and features heavily on the upcoming Only The Family Involved Vol. 1 mixtape. David Saulsberry (Doodie Lo) was born on October 22, 1991 in the small city of Kankakee right outside of Chicago. He went to school in Kankakee, IL as a child, where he was inspired to get into the music business. His musical influences include Cash Money, T.I. Gucci & Yo Gotti. Doodie Lo has joined Lil Durk’s OTF label with a huge up coming project titled “Only The Family Involved Compilation Vol. 1” set to drop summer 2018.